At some points in our lives, we all have to deal with runny nose (rhinorrhea). This condition comes side-by-side with stuffy nose or nasal congestion. 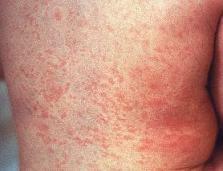 Among its causes are because of the common cold, sore throat, and flu season as well as allergies. Whatever the cause is, it can become annoying especially when you can’t stop your nose from dripping mucus. If it’s making you annoyed, then there are steps you can do on how to stop runny nose. There are actually arrays of solutions that can help on how to treat it. Be reminded though, that once rhinorrhea has become chronic already, it is better that you seek medical treatment as there may be underlying problems for that. Blow your nose gently to remove the excess mucus. 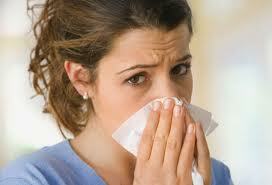 Take an antihistamine and other over-the-counter drugs that aid well for runny nose caused by allergies. Follow some precautions when taking antihistamines as they can make you sleepy. For colds, you can opt for a cold medicine (decongestant) to eliminate it. 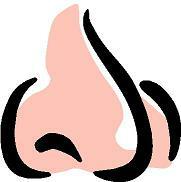 Use a topical decongestant like nasal spray to provide relief from it. Nasal sprays helps to reduce the swelling in your nasal cavity caused by the condition. However, do not use nasal spray for longer than five days as it can worsen the condition. Sleep with a humidifier in your room as moist air helps to thin mucus. One trusted home remedy is to chew a piece of ginger root. This has shown to reduce the mucus. In addition, have the person drink plenty of fluids to prevent dehydration. Avoid intake of alcohol and caffeine as they can make the mucus thicker. Those are the things you can do on how to stop runny nose. In cases where you have to take medications, it is still better if you ask your doctor about the medication treatment especially if the sufferer is a baby. Good luck!